First, TF Jnr and I attended the Wales v South Africa epic at Twickenham. Great game and even better atmosphere. There was always the feeling that the Welsh hadn't done quite enough and so it proved once the Boks started to dominate possession and territory in the 2nd half. Unbelievable defensive effort from Wales and disappointing that all that effort from the Welsh was not rewarded, but in the end it really was a matter of last man standing. An inspired decision to park and ride from Kempton Park meant that we were back home in time to see the New Zealand procession against the French. The All Blacks were pretty spectacular last night, although at times it did look as if they were having a training run against a bunch of blokes who had just met for the first time in the car park before the match. And so to today - I've had a feeling all week that Argentina would be too strong for an Ireland team missing the likes of O'Connell, Sexton and O'Brien and so it proved. This Argentina team are a bit special and you can't rule out them making the final. 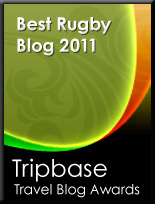 As for Scotland v Australia, another epic and Scotland certainly didn't deserve that outcome. 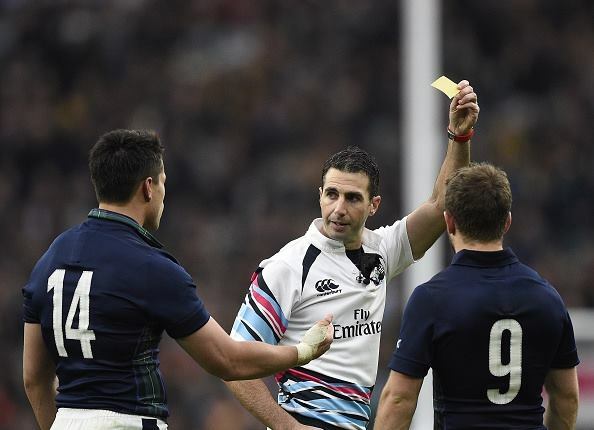 Awful, just awful decisions from Craig Joubert, both in sending Maitland to the bin and then the penalty at the death. Australia can count themselves extremely fortunate. I don't get the reaction to the deliberate knock on and would be grateful for any clarification. Time and time again I've seen games in which a player in the defensive line sticks one hand out in what looks like an attempt to catch the ball, knocks on and it is penalised as deliberate. The commentators then say something along the lines that even though it looked like a genuine attempt to catch the ball, if you stick one hand out and knock on the ref is always likely to penalise it as deliberate. In this case Joubert is being hammered by commentators, pundits etc for doing just that. I just wondered why this one is different. Thanks. I'm not sure it is different. It looked a genuine attempt to go for the ball. Like other examples it can be borderline and you do risk it being ruled deliberate, but to yellow card someone the ref/TMO should be 100% convinced it was an act of foul play - and this case I can't see how that can be justified.